White label test pressing. 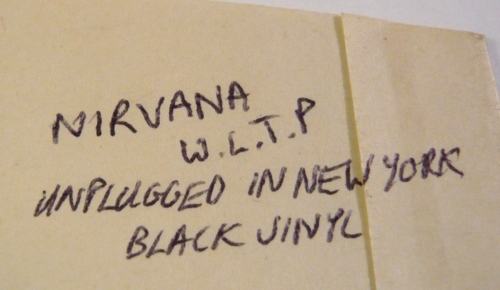 There was no British retail pressing of Unplugged In New York , so for some reason it was cancelled after the test pressings had been made. The test pressings are definitely official, as the matrix codes and labels completely match other records plated and pressed by EMI. 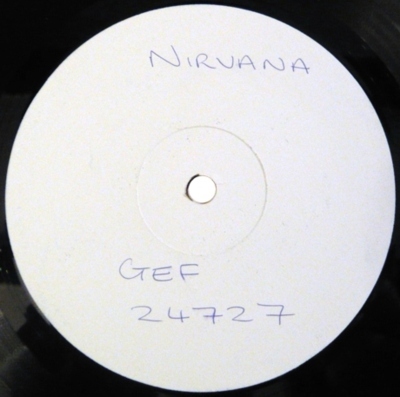 EMI pressed all black Nirvana records on Geffen in the UK at the time . Two copies have been found. 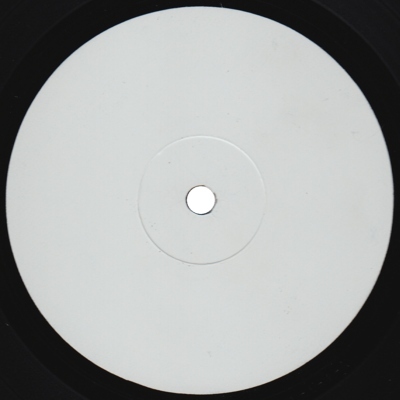 Copy 1 came with blank labels in a black DJ sleeve which may have been added by a later owner, while copy 2 came with the band name and catalog number handwritten on the side A label, inside a white inner sleeve and a white cardboard sleeve. These two sleeves also have handwritten text, clearly written by a different person.